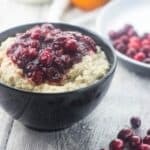 Creamy cranberry oatmeal – diversify your breakfast bowl with this super easy and tasty cranberry sauce oatmeal for the holidays. 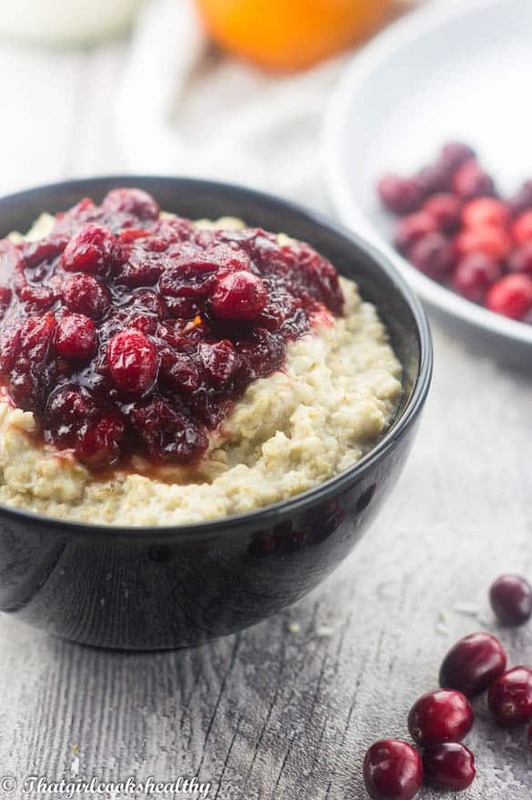 I’m so excited to share this creamy cranberry oatmeal recipe with you all. Lately, I’ve been thinking a lot about oatmeal, for some reason I just cannot get enough of it. 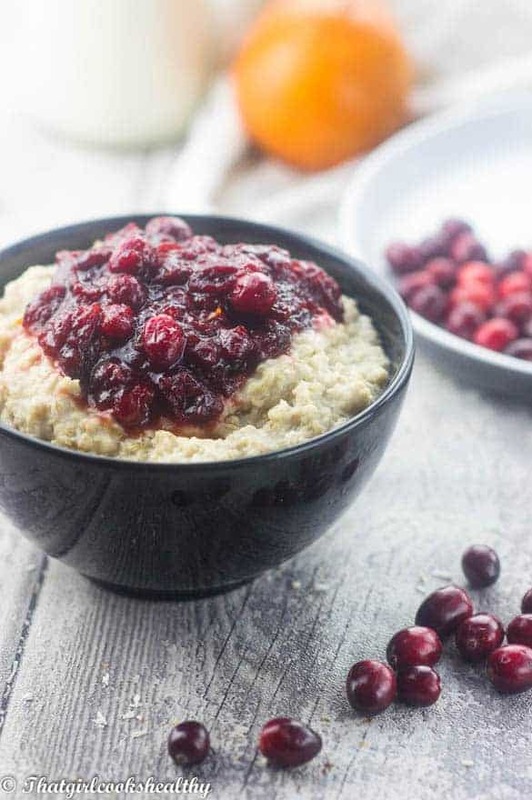 I recently made this coconut mango overnight oats which was a hit on the blog and now I would like to share this cranberry sauce oatmeal. When you think of the holidays and the festive season most people will think of mulled wine, mince pies, Christmas pudding, candy cane, brussels sprouts and roasted turkey just to name a few. Coming from a Caribbean background our Christmas cuisine is very different from how it is in the Western hemisphere and to go into great detail would be best left for a separate post. In my household oatmeal is a staple food when we aren’t eating our traditional island breakfast. I decided to do things in reverse this time around, rather than toy around with the leftovers. Creamy cranberry sauce – a unique Christmas concept! I think the concept of adding some cranberry relish really turns things up a notch or two. 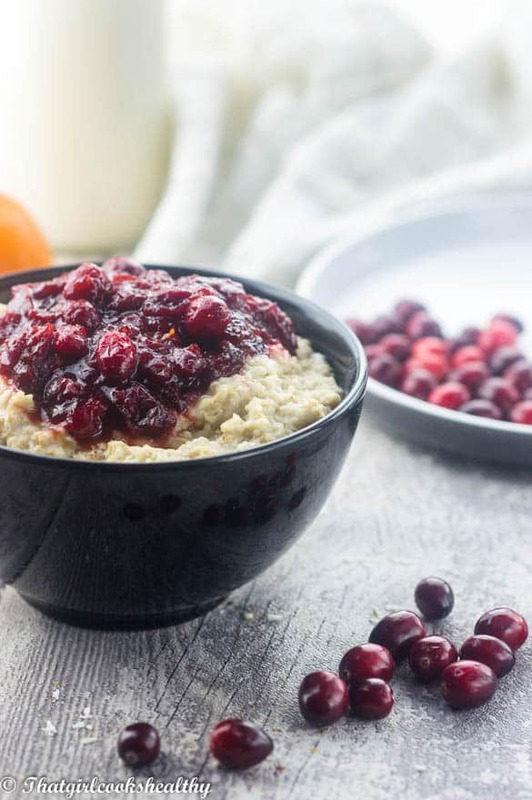 I haven’t seen many cranberry sauce oatmeal recipes on the net so hopefully this can be a festive breakfast bandwagon that most people will jump on. Cranberry relish – As mentioned, you will need some cranberry relish .If you’re not familiar with how to make cranberry relish, don’t worry as I posted a recipe a few years ago that will serve as the topping. Making the oatmeal – I think creamy oatmeal and hope you do too. I achieve that creamy/milky texture I used plant based milk (almond milk). Simply bring the water and almond milk to boiling point before stirring in your oats. Keep this quick and easy recipe for the Christmas season and cozy up to it for breakfast. Heat the almond milk and the cup of water in a medium saucepan until it begins to simmer. 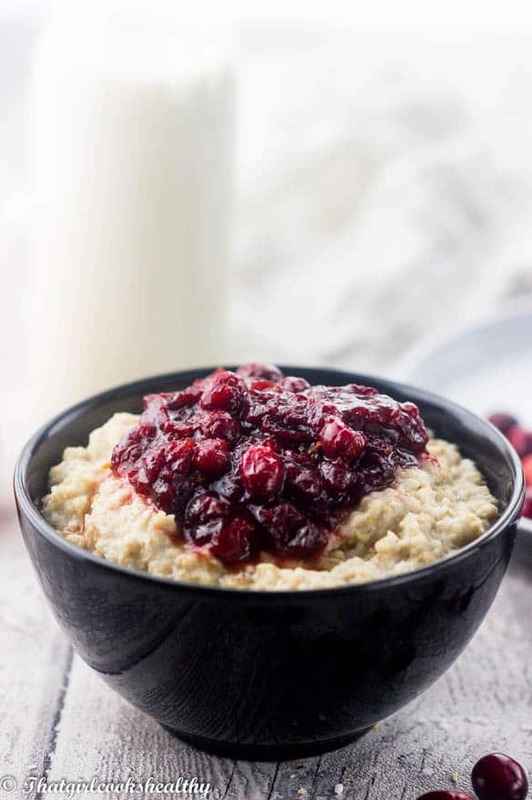 Divide the oatmeal into bowls then add a heaping of cranberry relish on top of the warm oatmeal.